As we continue our journey in 3D printing world we want to give credit to a free online STL repair software that helped us out – MakePrintable. In December 2016 we found ourselves in an unpleasant situation. 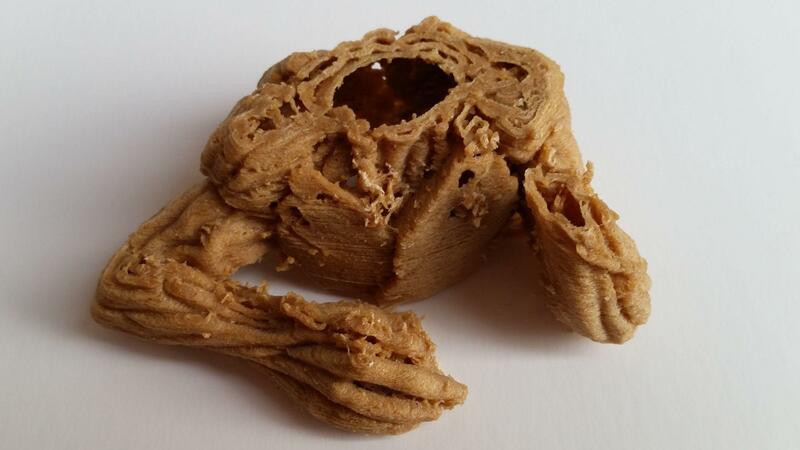 We wanted to print a trending model Baby Groot but could not slice it properly. We have to admit that we are not as techy savvy as we want to be, and therefore we struggled to find the solution. In the picture below you can see that the object had bad mesh. There were many holes and some parts were detached from each other. Initially, we printed this model in wood. However, it looked like so many unnecessary retractions were a bit too much for wood filament. Maybe it would’ve worked better in ABS or PLA, but our target was to make Groot in wood. After searching through different forums, we came across an STL repair software for 3D printing that has sorted out our 3D model – MakePrintable. The basic functionality is in the name: it makes models 3D printable. When we uploaded Baby Groot Flower Pot into this online tool, we had to wait for a while to get it processed. During the procedure the diagnostics and procession details were displayed. After hours of failed attempts and struggling to get this model to print, there was a pleasant relieve. The model was analysed and fixed and was now showing no holes and it looked good in Simplify3D. 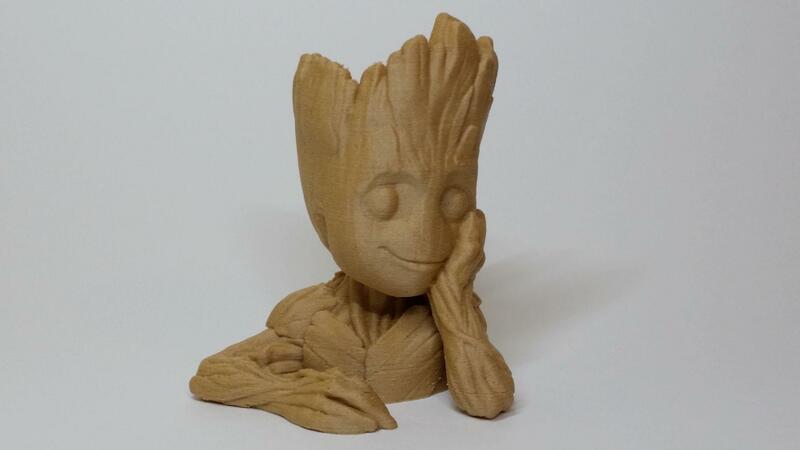 We were especially happy when Baby Groot was successfully printed on our Prusa i3 MK2. Please see the picture below. Our default slicer is Simplify3D. We keep following Makers Muse’s tutorials and learn something new every day. But when we came against this type of a problem, we had no knowledge about the specific slicer settings needed in this situation. Later we realised that we could repair Baby Groot’s mesh ourselves in Simplify3D. Despite of this, we are very thankful to MakePrintable for the help that day. 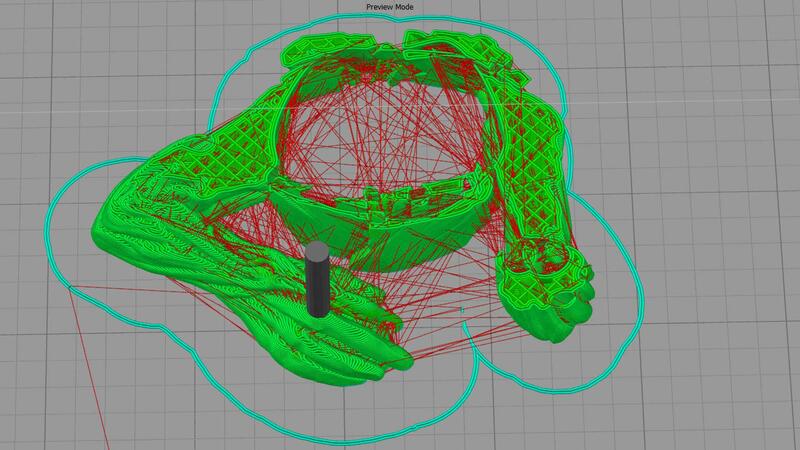 Mesh repair software is a valuable addition to the whole 3D printing operation. Recently we noticed that MakePrintable had a new initiative. They have started a collection of unique 3D printable models. Files for those are available for free on their website. There is an option to produce a G-code, meaning that the model gets sliced and ready to be uploaded into a 3D printer. 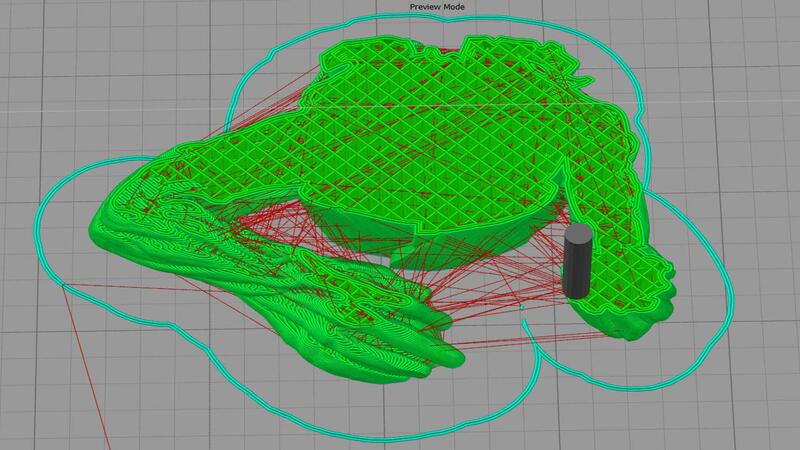 We might try to print Augustin Flovalistick’s 3D Football soon.